Always On Electric Company is a licensed and bonded full service contractor in the commercial and residential sectors. We are committed to providing cost-effective, energy efficient, high quality electrical services every time, leading to 100% customer satisfaction. We are proud members of the BC Hydro Power Smart Alliance . 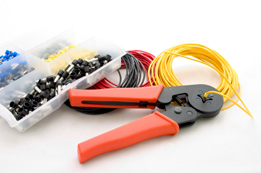 We have over 10 years of experience in the electrical industry in residential and commercial fields. Our journeymen are fully licensed and knowledgeable. We have worked on projects of many different types and tenor. We always conduct our services in a professional manner. We pride ourselves on our neat and tidy work and appearance. We are committed to the highest levels of customer service. We are interested in building and maintaining long-term mutually satisfying relationships with our clients. We will go the extra mile to give our customers a high level of quality and service.